Morgan James Publishing, 9781683507574, 158pp. Most children and grandchildren of Holocaust survivors felt the omnipresence of the Holocaust throughout their childhood and for many, the spectre of the Holocaust continues to loom large through the phenomenon of "intergenerational" or "transgenerational" trauma. 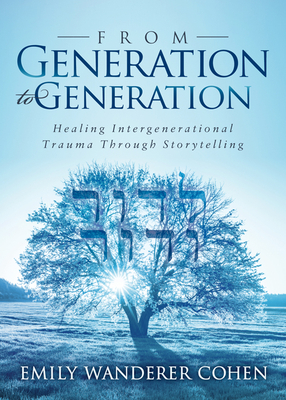 In From Generation to Generation: Healing Intergenerational Trauma Through Storytelling, Emily Wanderer Cohen connects the dots between her behaviors and choices and her mother's Holocaust ex-periences. In a series of vivid, emotional--and sometimes gut-wrenching--stories, she illustrates how the Holocaust continues to have an impact on current and future generations. Plus, the prompts at the end of each chapter enable you to explore your own intergenerational trauma and begin your healing journey. Part memoir and part self-discovery, if you're a second-generation (2G) or third-generation (3G) Holo-caust survivor--or you're experiencing intergenerational trauma of any kind--and you're ready to heal from that trauma, you need to read this book.